Lela Porter Love - Mediator based in New York, New York. If you’d like a list of available dates for Lela Love, please submit a request below. Lela Porter Love is a professor of law and director of the Kukin Program for Conflict Resolution at Benjamin N. Cardozo School of Law (NYC). She founded (in 1985) and directs Cardozo's Mediation Clinic, which was among the first clinical programs in the country to train law students to serve as mediators. Professor Love serves as mediator, arbitrator and dispute resolution consultant in community, employment, family, human rights, school-based and commercial cases. Her mediation of a public policy dispute in Glen Cove, NY, brought widespread publicity to the use of mediation in resolving complex litigation. An active educator and participant in alternative dispute resolution activities, she regularly conducts mediation and arbitration training programs for community dispute resolution centers, court-annexed programs, lawyers, judges, corporations, experienced mediators and a variety of other groups. She designed a mediation course offered in Budapest each summer to students from around the world; developed a "Train the Trainers of Mediators" program and teaching manual for the State of Michigan; and has also trained mediator trainers for the NYS Unified Court System. She served as a consultant to the State of Florida in implementing its mediator qualification requirements and a consultant and trainer to the Louisiana Board of Workers Compensation in designing and implementing a mandatory mediation program for Workers Compensation cases. She is a certified trainer for community dispute resolution centers in NYS and has developed and delivered mediation theory and practice courses at a variety of law schools, both domestic and international, which typically satisfy certification requirements for court-annexed mediation assignments in the respective states. Since 1993, she has regularly delivered arbitration training programs for the State of NY, Office of Court Administration, for arbitrators of attorney-client fee disputes. Professor Love received her B.A. from Harvard University, a M.Ed. from Virginia Commonwealth University, and a J.D. degree from Georgetown University Law School. Professor Love is Past Chair of the American Bar Association Section of Dispute Resolution. In her chair year she initiated the first International Mediation Leadership Summit in the Hague. She also is a member of the NYS Unified Court System Alternative Dispute Resolution Advisory Committee. 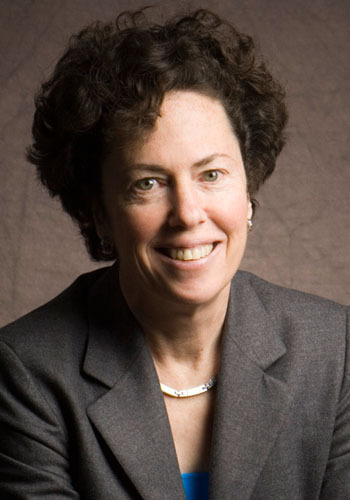 She has written widely on the topic of dispute resolution, including co-authoring three law school textbooks, and mediated a simulated product liability dispute that was broadcast numerous times by COURT TV. Her latest book, co-authored with Joseph Stulberg, is The Middle Voice: Mediating Conflict Successfully.